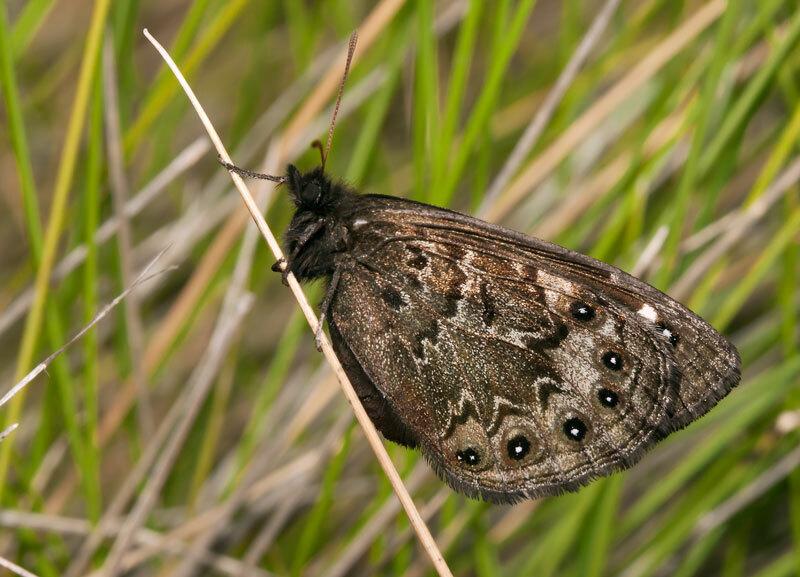 Hogsback, rain, mud and a few butterflies…… | Plants, butterflies, cameras and things! There has been silence from my side as we all dashed off for Christmas at my parents home in the Hogsback in the Eastern Cape Province of South Africa. 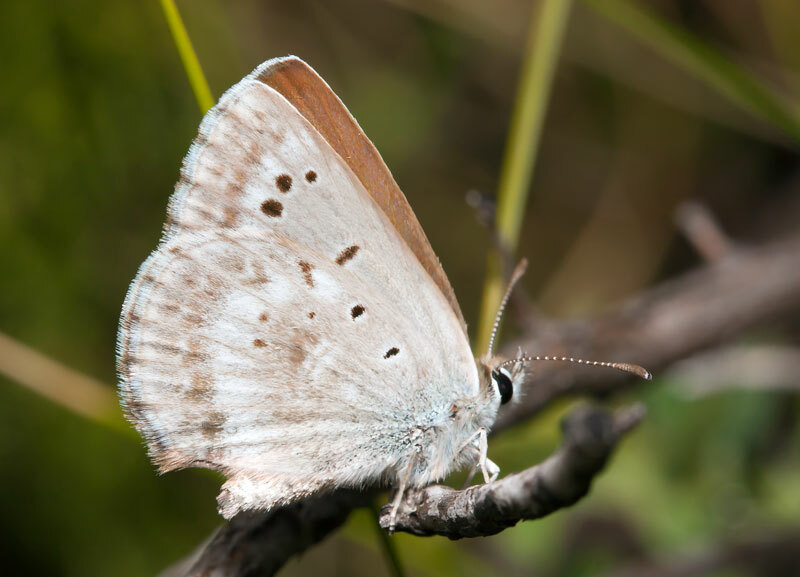 As usual with my visit to Hogsback the trip would involve time on the bicycle and as much butterflying as possible. 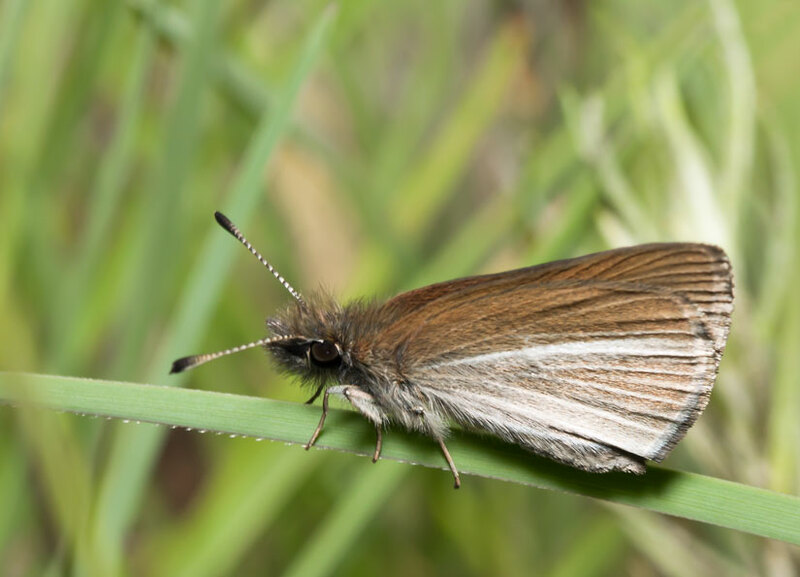 The main focus butterfly wise was to find a number of endemics, some of which had neve been photographed. These included Penningtons Opal (Chrysoritis penningtoni), Dicksons Copper (Aloeides dicksoni) and the Gaika Sylph (Metisella syrinx). 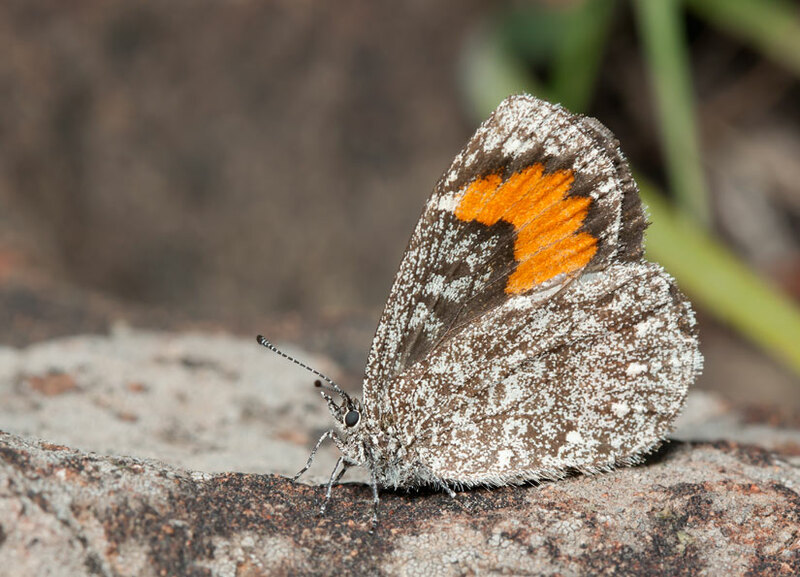 Added to the list was as many photographs of the Amakosa rocksitter (Durbania amakosa amakosa) as possible to compare with our local insect as well as the one that I discussed in my last post, from the Bushmans Neck area. The drive to Hogsback was long and hard. As we approached we were greated by a massive thunder storm that was followed by a day of soft rain and cabin fever (me on holiday needing exercise, Tracey wanting to get out and three little girls). It was good though as it gave us time to spend time with my folks, sister Leonie from Cape Town, other sister Nikki and her husband Rod and their little ones over from Kansas. On day two we sis see sunshine for a few hours and I dashed out to a local wetland to look for Satyrids. On arrival I found a few specimens of Serradinga clarki, they are very difficult to photograph as they flit around all over the place rarely landing and when they do it is in a clump of grass making taking a photograph very difficult. After a few unsuccessful attempts I decided to wonder up a rocky ridge and to my supprise saw a skipper flitting around the rocks. After a few minutes of following it around I was able to get a few photographs. There were a number of the little beauties flying around enguaging in aerial battles. I was a little confused with the ID of the skippers however Ernest Pringle and Torben Larsen both agreed that they were Tsitana tsita. The next two days were wet and one was Christmas so we spent a very over indulgent day at Coombe Dingle. The 27th December was to be a good day, or so all the weather web pages said, so we planned an assault on Gaikas Kop to try to get the rareties. We woke up early to a breezy, overcast and chilly day. I knew that the Chrysoritis colony that we were to visit was on the protected slopes so was fairly confident that we would be out of the wind and that we should be successful if the clouds broke. The climb is short and pretty hard but the flowers over December are wonderful. Various species of Watsonia (in particular W pillansii with the odd white form popping up in the patches or red) and the robust Kniphofia northyi were to be seen. It was very strange that the Proteas, once so abundant on top and on the slopes, were in a very bad way with huge patches having died. I climbed with Tracey (my wife), sisters Leonie and Nikki and brother in law, Rod and they were most shocked when, upon reaching the top I told them to walk half way down the other side to the colony. Gaikas Kop is an amazing place. It is flat on top and obviously collects a lot of water as whenever I have visited the sides of the hill seep water all over the place. 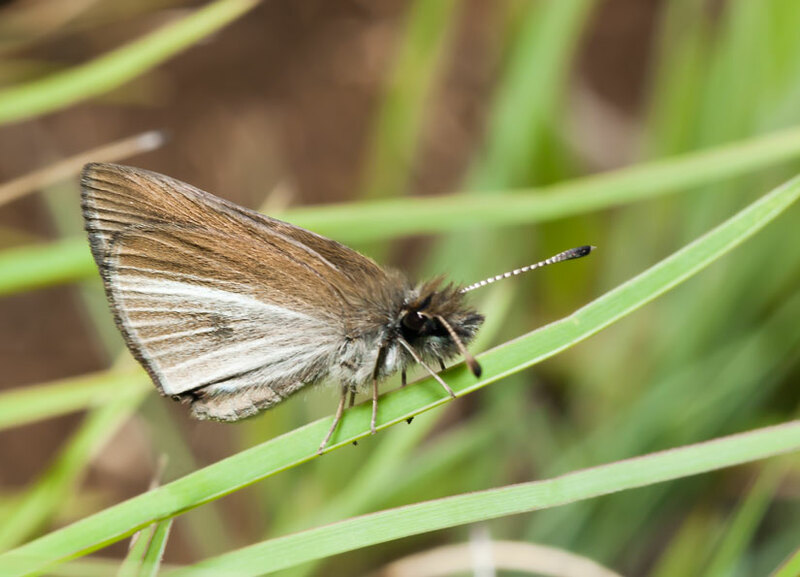 On the way down to the colony I saw a small Lyceanid butterfly flitting around. 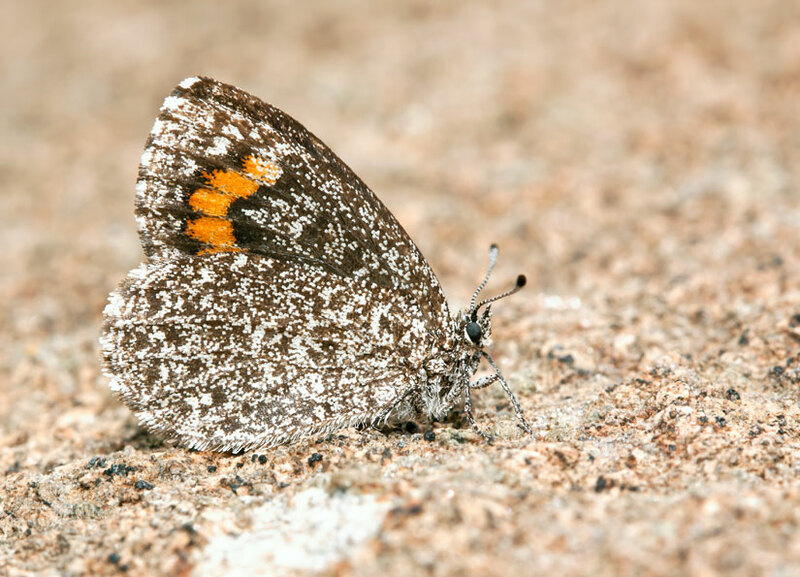 It turned out to be Orachrysops nasutus nasutus, a fairly widespread cousin of the rare O niobe and O ariadne (I posted about this butterfly a few posts back). It was a female and I was able to get a few photos, one is attached. We got to the Chrysoritis colony, it was shielded from the wind and the clouds did break up giving us windows of opportunity to look for the illusive little butterfly. I found them at the spot way back in 1993 and, since then, have visited on a number of occations either on my own or with Alan Heath and Harald Selb. Every time that I have visited I have seen them. Even my father, Bruce (not a butterfly person), has been up there on his own and collected a specimen for DNA analysis at the Museum of Comparative Zoology (Harvard). The 27th was different. I did not see a single specimen. Sad but that it how things go and I will have to return to photograph them. I did however find a lovely fresh female Serradinga clarki whose wings were still floppy. I got some great photos of her before we left. The walk down is through Thamnocallamis bamboo, a bamboo endemic to the higher slopes of the Southern Drakensberg and the Amatolas. This bamboo is the foodplant of Metisella syrinx (the Gaika or Bamboo Sylph). As soon as we got into the bamboo we saw the butterfly. It is a beast to get close to and photograph as the hillside is steep and strewn with boulders and the higher bits of the bamboo very difficult to access. After unsuccessfully chasing a few I finally got one to play the game and sit for a short period, shot enough to get two shots but to short to get an upperside. One of the two is attached. This entry was posted on January 5, 2012 by Simon Joubert AFROmacro. It was filed under art, butterfly cards, butterfly photography, denise beuke, doug morton, Drakensberg, floral photography, flower photography, fran simmons, landscape photography, macro photo tips, photography, rare butterflies, simon joubert, south africa, south african butterflies, south african butterfly photography, The Kiln Gallery, Uncategorized and was tagged with Aloeides, Aloeides dicksoni, Bamboo, Gaika, Leonie Joubert, Metisella, Metisella syrinx, simon joubert, Syplh. I like how detailed they all look! Lovely macros! thanks, glad you like them. regards and keep following. loads of cool insects to come.